NiceDiets (www.nicediets.com) is a website that specializes in providing reviews and the latest information about diets and diet pills. Their articles deal about weight loss, guides for an effective weight loss program, information about diet pills, their types and their side effects. The site also shares information about the effectiveness of the diet pills found in the market today including how and where to buy them. Part of the research done by the NiceDiets web team is examining the reviews posted by those who have actually used the diet pills. Accordingly, the information they posted is simply to educate readers and are designed to help those who want to lose weight decide on what how to lose their weight more effectively and maintain it once attained. Which is better, Diet Pills or Diet Plans? Losing weight can be hard and frustrating. You may have tried one or two recommended diets and have not shed a pound. You may have heard about diet pills and the purported positive results that it brings but is afraid after hearing about the possible fatal side effects. People on weight loss regimen are continually confronted with the question of which way to go, to use diet pills or to follow a strict diet plan. Countless number of diet plans have been introduced by health and fitness buffs and by nutritionists since losing weight became a fad. One of the more recent and known to be effective diet plan is the Cohen diet. Formulated by Dr. Rami Cohen, the diet is a personalized plan that is formulated for you after a careful examination of your blood. It follows a belief that obesity is a disease and can be treated by determining what food group you should take. The diet is known to be successful that testimonies of losing as much as 40 to 60 lbs. in a period of about 6 months are shared. The downside with Cohen diet is that it is tedious and expensive to prepare that those who are not serious enough of losing weight cannot follow the diet strictly if not stop with the diet altogether. Diet Pills on the other hand pose a different type of problem. The challenge of choosing what diet pill works from among the hundreds of diet pills flooding the market is a major concern. Another concern is the fear of the reported harmful side effects brought about by myths and horror stories about people on diet pills. Success stories of diet pills report losing as much as 15-20 lbs in a matter of weeks. For those who intend to lose large amount of weight in a short span of time, the diet pill is for you. What are the advantages and disadvantages of diet plans? 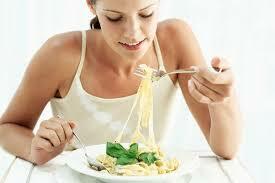 -Your diet is formulated by experts after a careful study. -You eat healthy food while losing weight. -It is guaranteed to work, if followed strictly. -You will see no results if you fail to follow the plan. -It is not flexible, meaning there is nothing for you to eat in a fast food. -It comes a bit expensive. -Success is largely dependent on self-discipline and will. What are the advantages and disadvantages of using diet pills? -No need to choose your food. -No need to starve yourself. -No plan to follow – simply take the pill as prescribed. -Can have side effects, ranging from mild to severe and sometimes fatal. -Can be expensive, though this depends on the diet pill of your choice. You should exercise regularly to burn of excess calorie. Eliminate intake of fat sources such as cream, chocolate, butter, burger, pizza and carb-loaded food. Consider cosmetic surgery such as liposuction. Consider about taking pills, the easiest, fastest and most effective way of losing weight. What are the different types of diet pills that sold in the market? There are a lot of pills available in the market right now. Some can be bought over the counter while others can only be bought with a doctor’s prescription. Over the counter pills are designed for general use and can be both synthetic and herb-based while prescription pills are considered more potent and are designed for those who are obese and need to lose weight quickly. Some pills are designed to prevent fat and oil from being absorbed by the colon and are to be expelled immediately while there are anorectic pills that are known to be fast acting and are designed as anti-obesity pills. What diet pill does NiceDiets advocate? NiceDiet.com advocates the use of the diet pill Phentramin-D, an over the counter anti-obesity diet pill that is proven effective in losing weight quickly. Phentramin-D works by producing catecholamine, a chemical that makes your body think your stomach is full, eliminating food craving and suppressing appetite. It also increases your body’s metabolic rate, consuming calories faster. Phentramin-D, despite its potency and efficacy is known to be safe and produce only mild, non-threatening side effects.